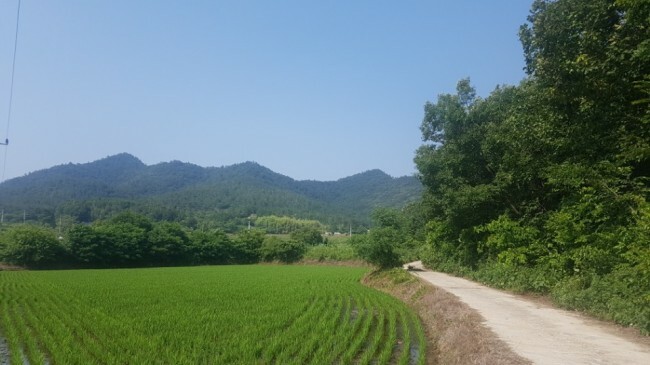 A 16-year-old girl that had gone missing on June 16 was found on Sunday, dead and decomposing, near the peak of Maebongsan in Gangjin, South Jeolla Province. Police on Monday confirmed the victim’s DNA was found on a sickle that was inside the trunk of the prime suspect’s car. While the sickle had no traces of blood, the victim’s DNA was detected from between the blade and the handle of the device. The suspect’s DNA was not traced. The victim’s last recorded conversation was with her friend over social media messages in which she said she was going to meet her father’s friend for a secret part-time job. The 51-year-old family friend, surnamed Kim, fled his house when the girl’s mother came looking for her. He was found dead the next day in an apparent suicide. An autopsy performed on the victim’s body, Monday, did not yield a clear cause of her death. Due to the level of decomposition, it was impossible to see exterior scars or signs of struggle on the body. There were no fractures. The police say Kim could have used the sickle to threaten the victim up the steep peak, which is unreachable by vehicle. The case is open to the possibility of an accomplice. Police are yet to announce why the body was missing much of the hair on its head. The victim’s other belongings, which were not around the body upon discovery, are yet to be found. On the day of the schoolgirl’s disappearance, Kim had parked his car just 600 meters away from her house. Later that day, the car was seen driving in the direction of Maebongsan in Gangjin. The victim’s mobile phone signal stopped near the mountain, while Kim’s mobile phone and his car’s black box recorder were turned off for the whole journey. Kim returned to his house alone in the afternoon, incinerated objects now believed to be the victim’s clothes, and washed his car. When the victim’s mother came around later to ask after her daughter, he fled through the back door and was found dead a day after.